This post was originally published January 27, 2015. 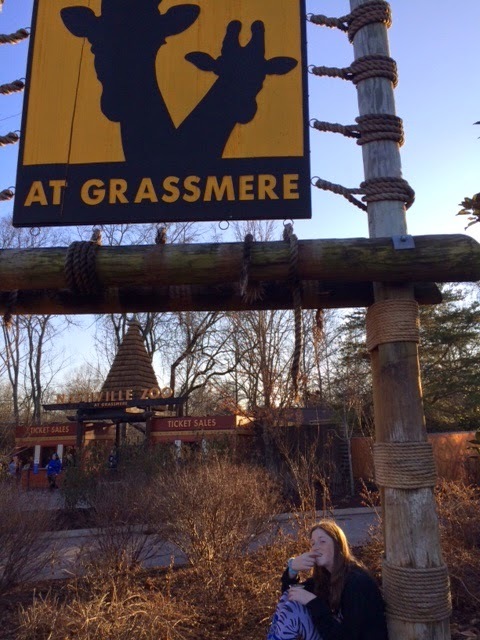 Saturday was this year’s Zoo Run Run 5K at the Nashville Zoo at Grassmere. 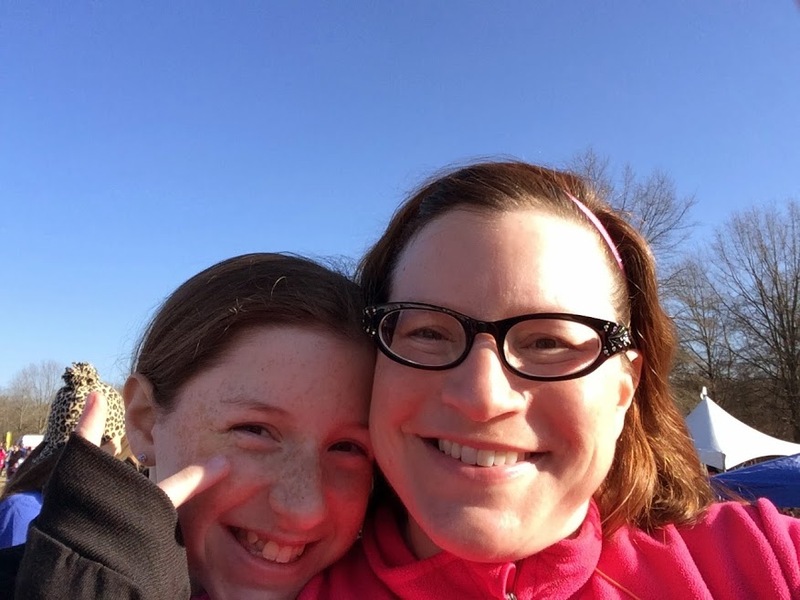 The whole family signed up this year to run and see the animals, and of course, support the zoo. 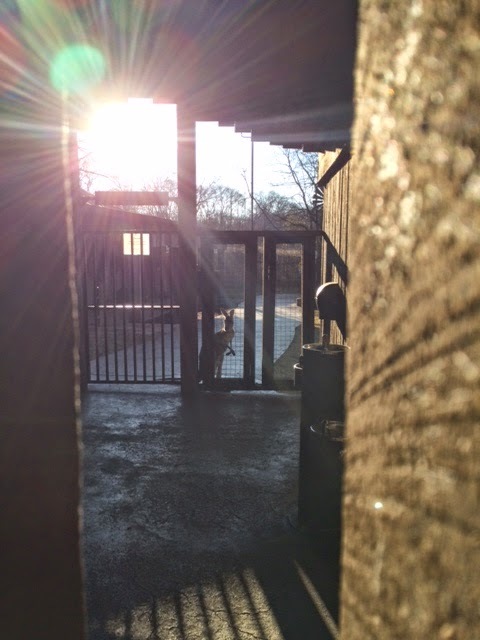 The weather turned out great, sunny and about 50 degrees, perfect for running and seeing awesome animals. There seemed to be a lot more people this year that when we ran two years ago. I guess the nice weather brought everyone out. I had my iPhone with me, so I could to take pictures without carrying a separate camera (like I did a couple of years ago – what a pain!). 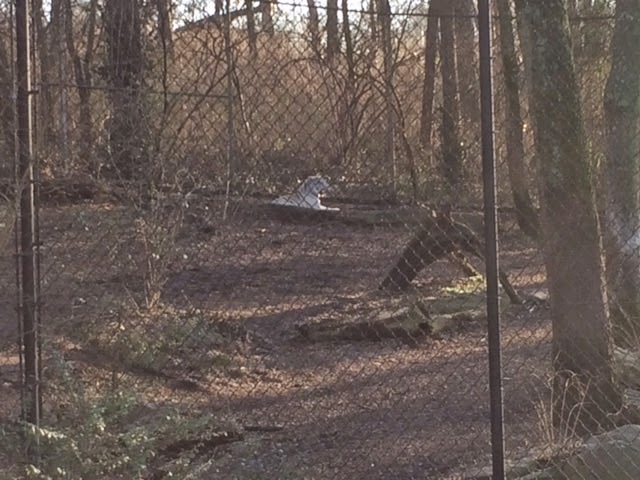 My first “Ooo, aaahh!” was this handsome white tiger, perched atop his rock. Not too much farther along were two mountain lions. The male was pacing and posturing, but I liked what I am thinking was the female, peeking over the rocks. Can you find her? Look for the ears! 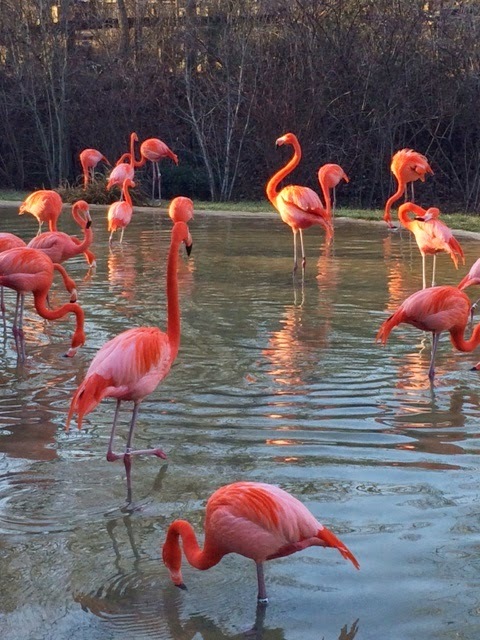 The flamingos are always a crowd favorite with their splash of tropical color against the dreary winter landscape. And check out this shy red kangaroo, silhouetted against the setting sun. 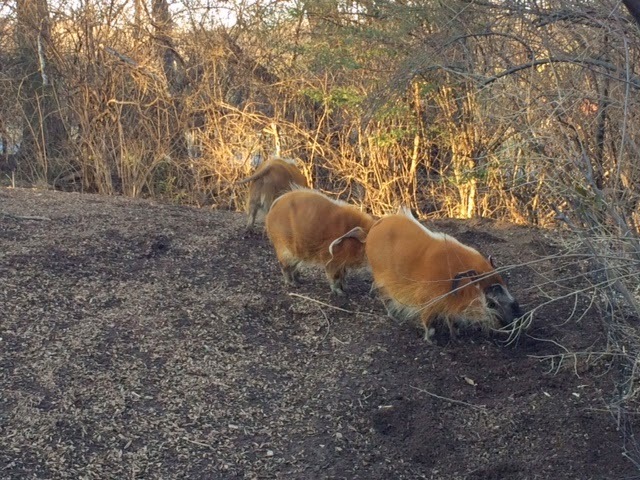 These fuzzy pigs? 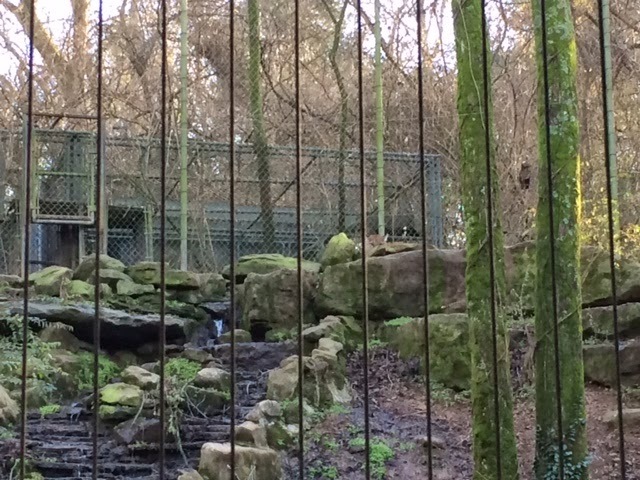 boars? not sure … were adorable. 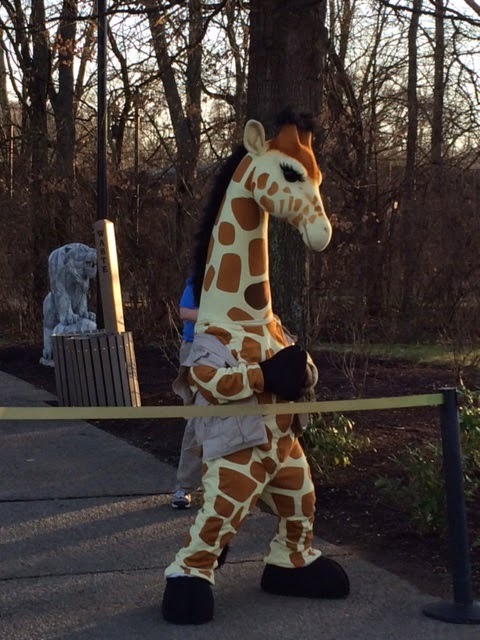 The super-happy zoo mascot high-fived me with his hoof as I finished the race. And here is Dharma, who finished well ahead of me and her father, enjoying the post-race eats! If you are a runner in the Middle Tennessee area, consider signing up for the Zoo Run Run next year. The race generally starts around three in the afternoon, so you don’t have to get up early, and you get to see lots of great animals, since the runners have the zoo all to themselves.